How scientists pieced together the life and death of an Allosaurus called "Big Al" by studying his bones. Big Al is one of the most complete dinosaur skeletons ever discovered. His bones tell us that he ran like an ostrich and reached maturity in only seven years. He had an acute sense of smell that he used for hunting and finding a mate. His sight and hearing were poor and he had many injuries. These bones tell a story. 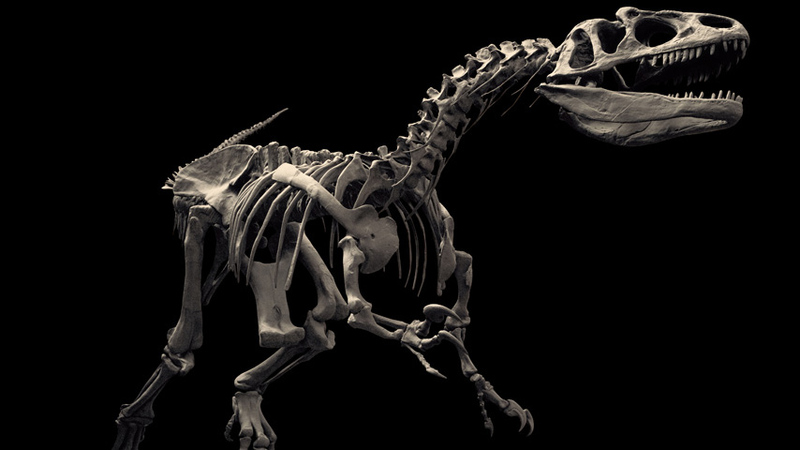 This is one of the most complete dinosaur skeletons ever found - an Allosaurus - unearthed in North America in 1991. He was nicknamed Big Al. Evidence from his bones have allowed scientists to understand how the Allosaurus lived and died, over 145 million years ago.